How To Tell How Much Ram I have:- Hello friends, today we are going to tell you how can you find out how much ram you have in your computer. Ram full form is Random Access Memory. This is the temporary storage device. There are two types of memory in our computer. One is known as Primary Memory and Other is Known as Secondary Memory. If we talk about secondary memory. Then it is a permanent storage device which is used for store permanent data into a computer. So our Main motive in this article is how To Tell how much ram I have on the computer. This is not only your problem. All beginners have to face the same problem. When they buy a new computer they don’t have any idea where to check how much ram is installed on my computer or on my laptop. So if you are one of them how to find out how much ram is installed into my computer. Then you should read this article till the end. In this article, we are going to cover the entire process step by step you can find out how much ram you have installed into your computer. We will tell you all kind of operating system step so you will not face any problem into your computer operating system. So let start how to Tell how much ram I have on my Computer and laptop. So to find out how much ram you have in your computer. You have to do these following steps. We have mentioned all step in an easy way so everyone can understand these steps easily. I hope you will like this post. Step 3:- Here you can see the installed ram option. If you are watching this option which means ram is installed into your computer. If you aren’t able to see it means memory is not installed into your computer. So to install ram into your computer you have to open the cabinet and there you will see 2 horizontal port on the motherboard. Here you will ram is installed or not. If your ram is installed on your computer then you have to insert it again. Because some time due to dust particle ram does not show into the computer. So remove it and insert it again it will show ram in your computer. And after that, you can see how much ram you have installed into your computer. 1. First of all, you have to press Windows logo key and R at the same time to open run box. 3. Here you will see a screen like this where you can see how much ram is installed on to your computer. Here you can check how much ram you have installed into your computer. Some times this method don’t work on your computer so you can use above method. If above 2 methods don’t work for you. Then you can try this method into your computer. 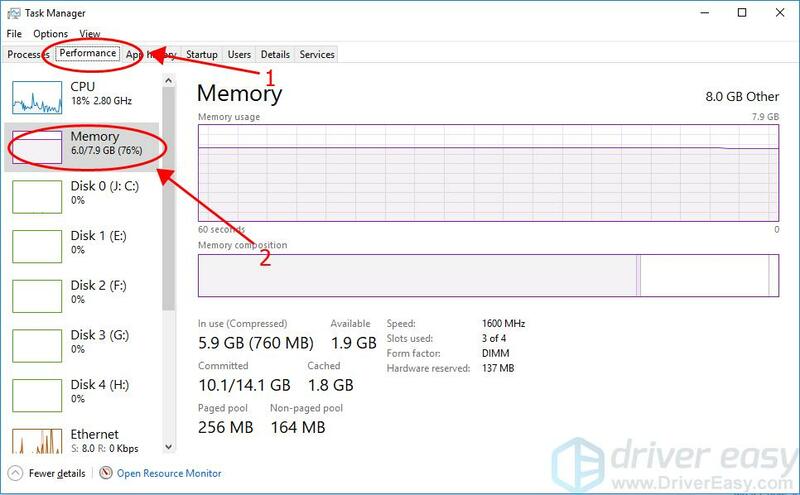 To check how much ram you have installed into your computer you can find it with task manager. 1. First of all you have to open task manager. 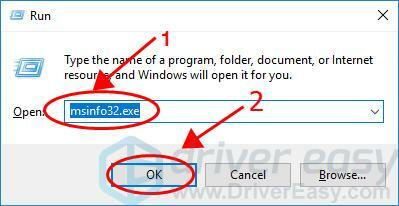 To open task manager you can press ctrl key, Shift key, and Esc Key at the same time so you can open task manager. 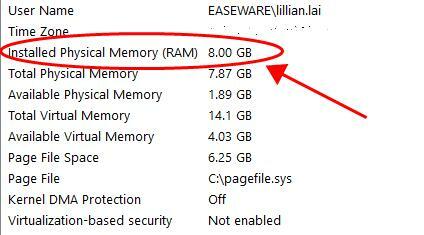 2.Now you have to click on Performance, then click on Memory, here you will see the ram in use and the available memory of you computer. 1. 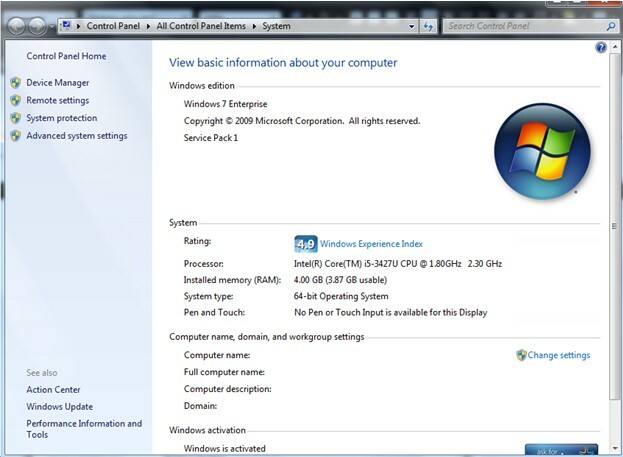 To find ram into your window 7 you have to follow same thing that you have followed into your window 8. You can do this with 2 ways. Step 1:- You have to click right-click on Computer and select Properties. Step2:- In the System peoperties here you will see list of “Installed Ram 0r Memory” on to your computer. Here you can see how much ram you have installed into your computer. So friends, it was all about How To Tell How Much Ram I have. I hope you will like this article. If you have any problem then you can comment us. We will help you and try to solve your problem. There are more article related to tech on our site you can read these articles.